The sculptures that you see on this page are examples of the style of metal sculpture by David Jaap van Leeuwen. Each of the five sculptures featured here is made with the metals steel and nickel. The steel is painted with a gold metallic paint. 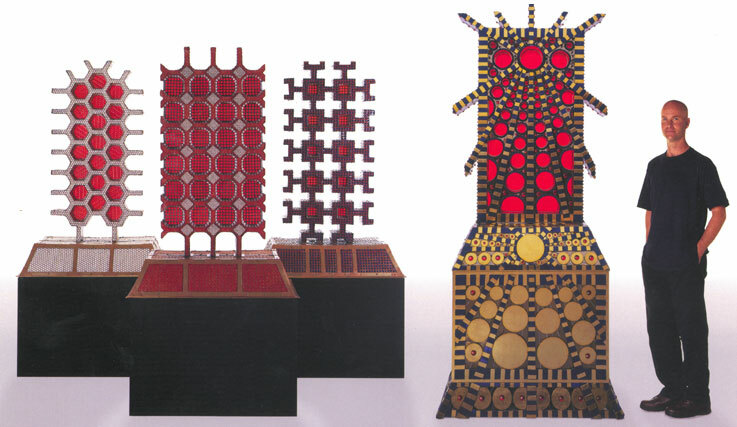 Each sculpture has glazed ceramic tile and red-orange stained glass, both of which add elements of color and quality. The two larger sculptures that you see above weigh at least a ton each and are priced at $100,000. 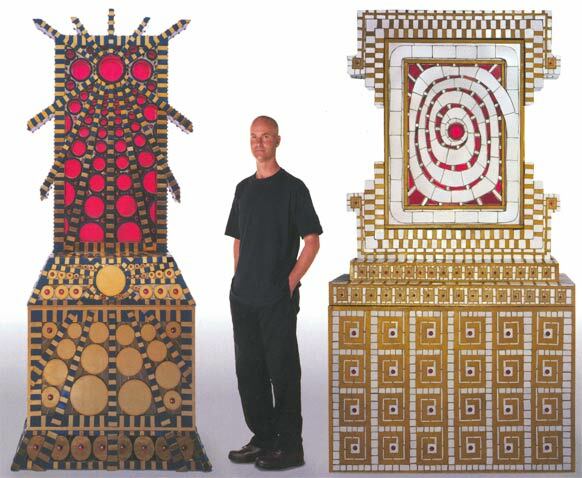 The three smaller sculptures featured below are mounted on black painted wooden bases. Each sculpture weighs about three hundred pounds and is priced at $40,000. All of the sculptures presented here are unique, one-of-kind, signed pieces of high-quality workmanship and artistry.